Merging cutting-edge technology with internal processes is the only way to meet the evolving IT needs of students, faculty, and staff in higher ed. 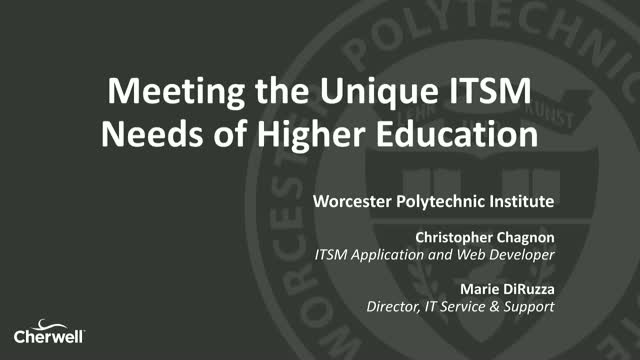 Chris Chagnon and Marie DiRuzza will provide an inside look at Worcester Polytechnic Institute's (WPI) use of Cherwell Service Management. From innovative API integrations to research and planning for a future filled with artificial intelligence, Chagnon and DiRuzza are at the technological forefront of education.